Students often want to pursue advanced training in a field, but can find that life circumstances sometimes make it hard to act. Master's degrees online may help with those hurdles and give students extra options in pursuing their education. Companies such as Zipcar and Airbnb prove that sharing is better than owning. Take a look at the infographic to learn how much sharing can.. .
Infographic: Email: Friend or Foe? Many companies and employees consider e-mail the lifeblood to work productivity. Our infographic takes aim at the issue and tries to help sort out some.. . Check this infographic to see What It Takes to Get An MBA... .
Librarians are regular people who have interests in all sorts of different things. Find out more about the librarians in this infographic "Anatomy of a.. .
A quick look at what its like to be a nurse and what it takes to become one... .
What are teachers worth around the world? We take a look at the numbers on teachers from nations across the globe and see where we.. .
Business schools were not a particularly glamorous academic choice when they were first developed, for the most part in the late 19th and early 20th.. . This infographic illustrates the endowments and just how hard even the loftiest schools were hit. No matter how diversified the portfolio, how astute the investment.. . The library has always been a storehouse of knowledge. The first stacks contained papyrus scrolls, which evolved to handwritten books, then printed books; today the.. . Languages that don’t change over time are dead languages. The fact that English has changed so much shows that it is alive and well... .
Food for thought for all the soon to be college kids...So, what do you want to be when you grow up?.. . Featured popular opinion articles on Pursuing master's Education... . The US News and World Report rating for top universities in the country includes a category for "national universities" that is designated for schools with graduate programs reaching to the.. . In most cases the pursuit of graduate education has to begin with the possession of a bachelor's degree. Accredited universities are generally obligated to require the undergraduate basics before enrolling.. .
Obviously salary ranges depend on the profession. It's an accepted reality that a master's degree in almost any field will result in an increased income over the life of a.. .
Our Master-degree scholarship section provides detailed information about various Masters scholarships, grants and other information for Master’s Degree students. .. . The question remains: Why pursue an advanced education through an online program? Opportunity for better career earnings. According to 2011 research from the Bureau of Labor Statistics, individuals holding a master's degree had higher median weekly earnings in 2011 than those possessing a bachelor's degree. Indeed, while completing a master's degree is no promise of increased earnings, doing so could lead to enhanced career focus and open new networking opportunities. It is important to remember that requirements and degree completion time varies by program -- be sure to review program specifics before deciding on a school and area of study. 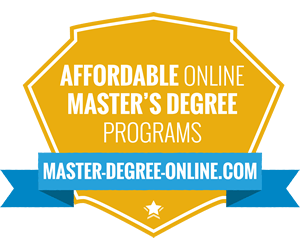 Why earn a master's degree? Attending graduate school is a calculated risk - a risk you should consider carefully before dusting off the backpack, pulling out the laptop and heading back to class. Prior to making a decision, be sure to weigh the pros and cons for completing a master's degree and ask if the potential benefits of the degree outweigh the costs and time involved. Not all degrees are created equal. First, you may want to consider the eventual earning power your future degree holds. Does an MBA hold more earning potential than a master's in art history? Examine salary and educational trends in your prospective degree field before taking the plunge - does the value of the degree make it worth the cost? Consider the cost. Graduate school may be expensive. Period. Costs may vary by the school and program, the availability of financial aid and the length of the master's program. However, be sure to factor in the opportunity cost, that is, the possible loss of employment income while you attend school. Private life vs. school balance. Do you have family and work responsibilities? Can you balance newly added pressures of graduate school and sustain your family and/or work life? Handling tuition. The breaking point for many future students is tuition. How will you pay for tuition? Are you prepared to assume debt by taking on student loans? Can you work while you attend school? Relocation is a possibility. After reviewing master's degree programs, will you have to relocate? Is your 'dream' program located 2,000 miles across the country? Be sure to consider the school's location before making a decision. As you confront the various decision points about going back to school, there are four major reasons to make that decision - career choices, employment and earnings. Allows you to change direction. Ready for a change in careers or a new position within your current field? Studying for a master's degree may allow you to change course on your career path, either pivoting into a new career field entirely or developing new managerial and deep skill sets that may allow you to move up in your current employment arena. Reveals skills and competency. Do those little letters after your name - MBA, MA, MS - really make a difference on your resume? They sure do. A master's degree listed on your resume may not be just an ornament; it may also reflect newly defined skills and competency within your field of study. Increases earnings opportunities. The third, and probably most important, reason to pursue a master's degree is the possibility of increasing career earnings. According to 2011 research from the Bureau of Labor Statistics, individuals possessing a master's degree had higher weekly median earnings than those with only a bachelor's degree. Median wages for individuals with master's degrees were $1,263, while individuals with bachelor's degrees were $1,053. Online programs may be an option. An increasing number of post baccalaureate degrees may be now available either entirely as online programs or with online course components. Online options may be diverse, master's degrees may be found in everything from education to engineering, fine arts to business, nursing to social work. 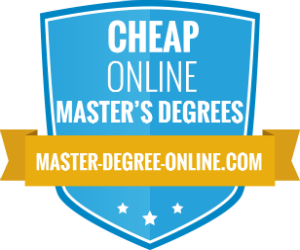 Choosing an online program may offer some flexibility and may allow you to keep from relocating to complete your degree. Taking the time to weigh the pros of cons of a possible master's degree program is important. Not only should you match the degree to your future career goals, but you should also consider the individual degree requirements and the amount of time necessary to complete the program, as they both vary by school and department. As you make a decision, be sure to set realistic goals, do your homework and make a plan before settling on a master's degree program. There are four major graduate admissions tests that may be used for applicants applying to liberal arts and non-professional programs, law school, medical school and business school. Here is an overview of each of these exams. GRE (Graduate Records Examinations). The GRE is the most widely accepted graduate admissions test required for admissions to graduate school and is usually taken by students applying to liberal arts and non-professional graduate programs. There are three components to the test: verbal reasoning, quantitative reasoning and an analytical writing section. The analytical writing section consists of two parts: issue task and argument task. Scores range from 130 to 170. GMAT (Graduate Management Admission Test). If you're applying to business school, you may be required to take the GMAT as part of your application process. There are four parts to the GMAT: quantitative, verbal, integrated reasoning and analytical writing. You may be given three and a half hours to take the test, and the total score may be from 200 to 800 points. MCAT (Medical College Admission Test). This test is administered to medical school applicants. The four sections of the MCAT are physical sciences, verbal reasoning, biological sciences and writing. The writing portion is being phased out of this exam in 2013, with an unscored trial section taking its place. Raw scores may be converted to a scale of one to 15. Preparatory materials may be available for all graduate exams and may include practice tests and study courses. Exam and master degree requirements may vary by degree program and institution, so you should check with your school of choice for its individual exam requirements.